The facelifted 2018 Ford Mustang has been revealed, and, um? 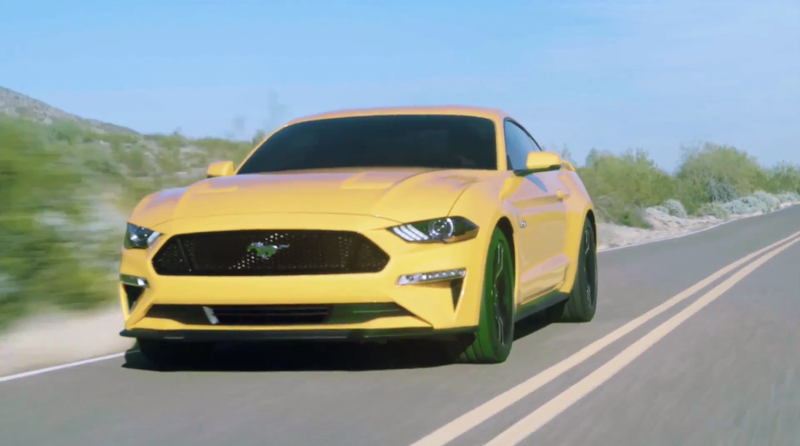 Sent to us by mustang6g.com, a video reel of the updated 2018 Ford Mustang shows off its resculpted features, and I’m not sure if it’s better or worse, or even different enough to judge. The face kind of looks like it’s sleepy? Or like a groaning zombie reanimated from the corpse of the previous look? Either way it’s here, and it’s not yet clear what else has changed on the car. Will it still have a V6 option? Since it’s out, we’ll probably be finding out sooner rather than later. Did it take a Xanax or something?